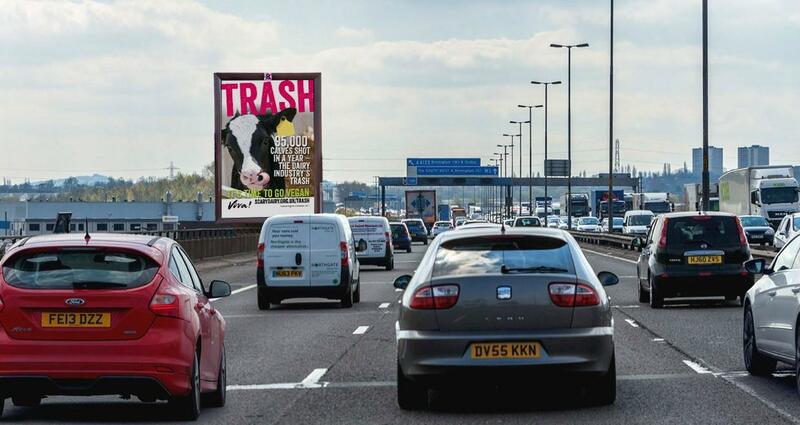 Massive Vegan Billboard Raises Awareness of Dairy Industry’s TRASH On 1 October, Bristol-based animal welfare charity Viva! is launching its new campaign, Trash. The campaign aims to raise awareness of the forgotten victims of the dairy industry – male calves – and forms just one part of their ongoing campaign to highlight the dark side of dairy. To mark the launch of Trash, Viva! has commissioned two giant vegan billboards to appear on one of the busiest stretches of motorway in the UK for the first two weeks of October. Cows, like humans, only produce milk after pregnancy to feed their offspring. Dairy cows produce milk for the best part of a year and then stop, and so to continue producing milk for human consumption they are kept in a perpetual cycle of forced pregnancy and birth. 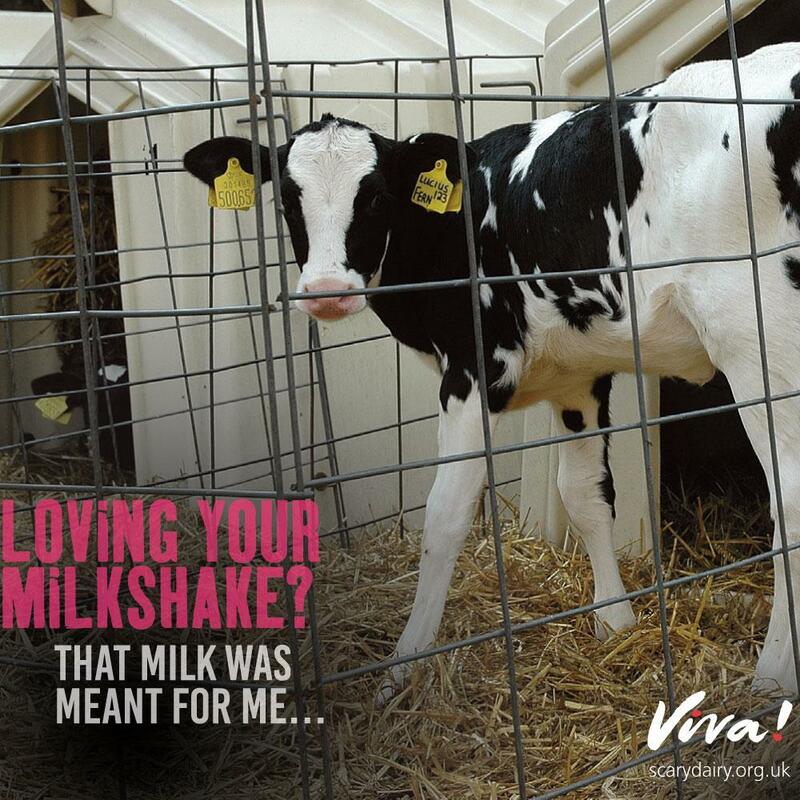 Around two million dairy calves are born in the UK each year. Male calves are a ‘useless by-product’ of the dairy industry, which means many are shot shortly after birth or sold to the veal and beef industry. Female calves face the same fate as their mothers – near constant pregnancy until they collapse from exhaustion and are killed for ‘low grade beef’ at around five years of age. In recent years global sales of plant-based milk and dairy-free cultured products such as yogurt, frozen desserts and ice-cream, creamers and cheese have grown rapidly with Kantar World panel revealing that one in three shoppers buy into dairy-free in Britain. Whilst consuming milk and dairy products is common in some countries, not everyone is able to stomach it. Most people lose the ability to digest the milk sugar, lactose, after weaning – about two thirds of the world’s adults are lactose intolerant. The message is clear: we are meant to consume breast milk only in infancy and then stop.